Ballyholme Yacht Club is pleased to launch the Danske Bank Icebreaker Series 2018/19. 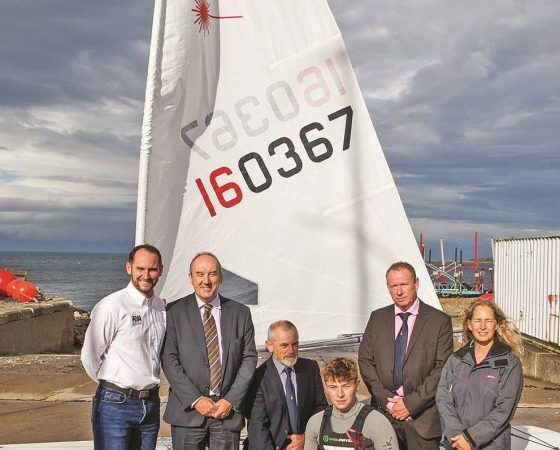 Now in its fourth decade, this event attracts a range of sailors from all over Belfast Lough. After a short break over Christmas and New Year, Part 2 will commence on Sunday, 3rd February 2019. One race will be run on each day. In a change from former years, there will be no charge for entering the Danske Bank Icebreaker Series 2018/19. Visiting boats will be accommodated at BYC for a small fee. This is in order to encourage a large entry. For those sailors with limited racing experience, BYC will be offering adult training on Saturday afternoons for members and visitors to help them build confidence for a competitive environment. Please check with the club office for confirmed dates of this training.